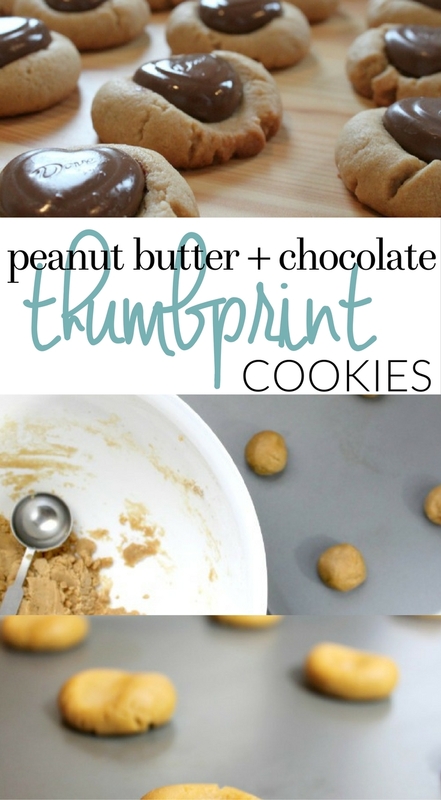 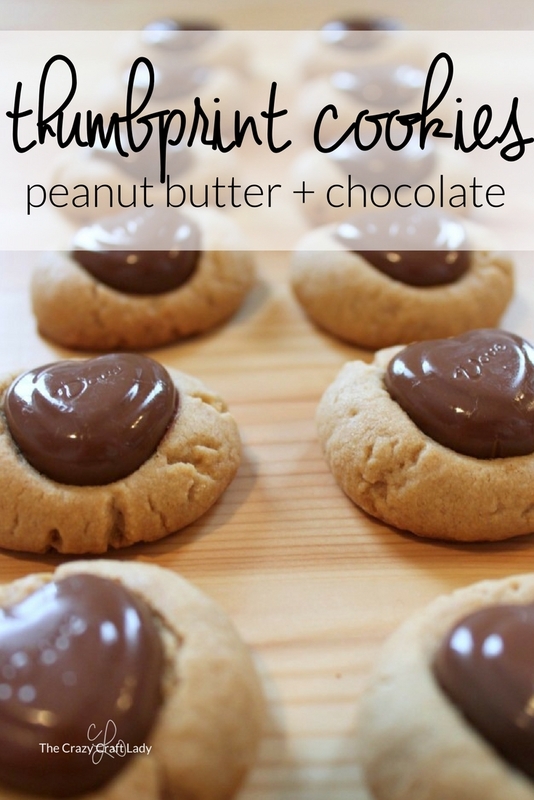 Make these Peanut Butter Chocolate Thumbprint Cookies with a simple peanut butter cookie dough and seasonal chocolates. 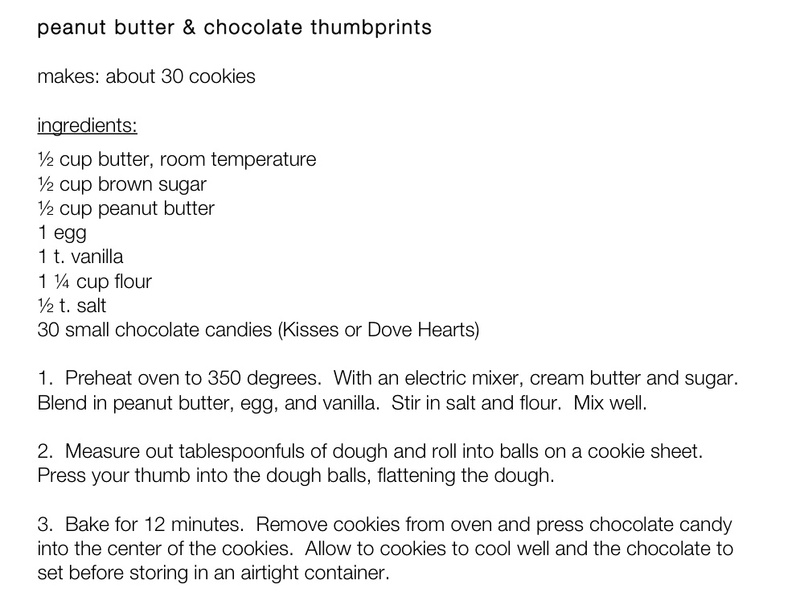 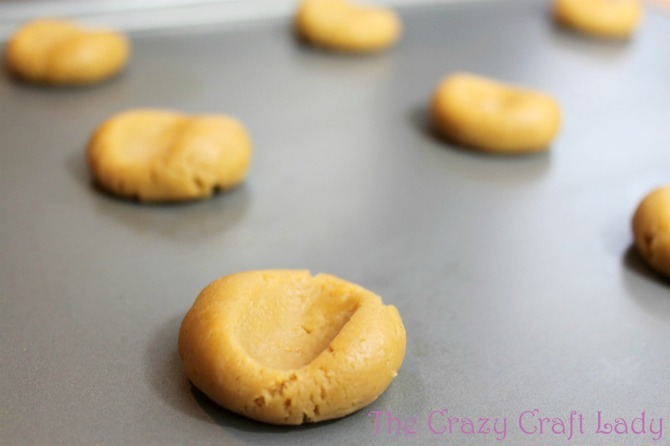 This is the perfect Valentine’s Day or Christmas cookie recipe! 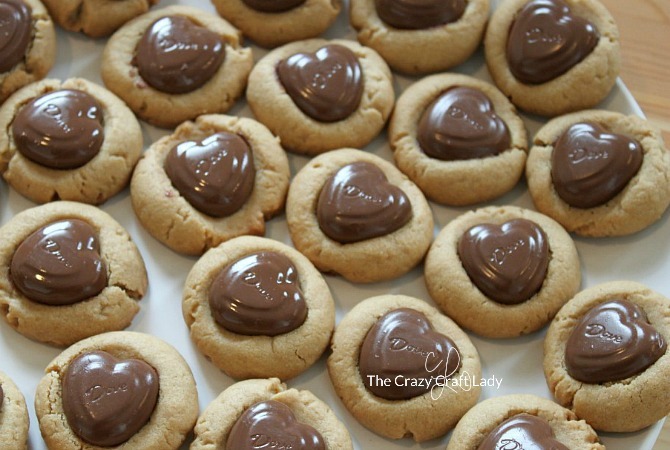 I always enjoy changes in holiday seasons – mainly for the new selection of holiday candy. 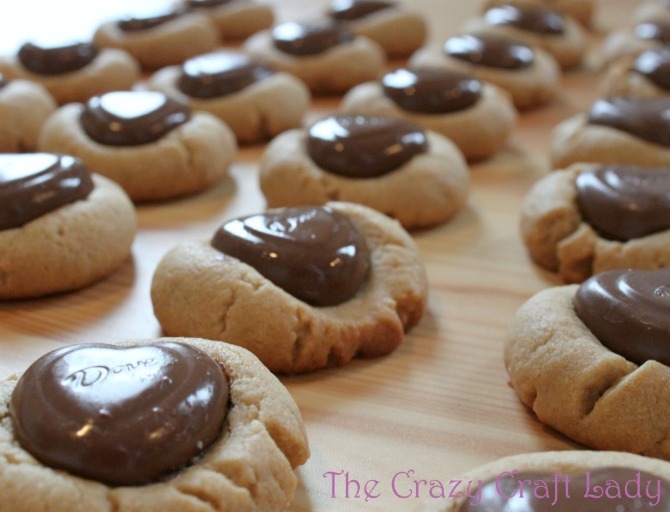 When I saw Dove Hearts in the store, I knew I had something new to put in a thumbprint cookie. 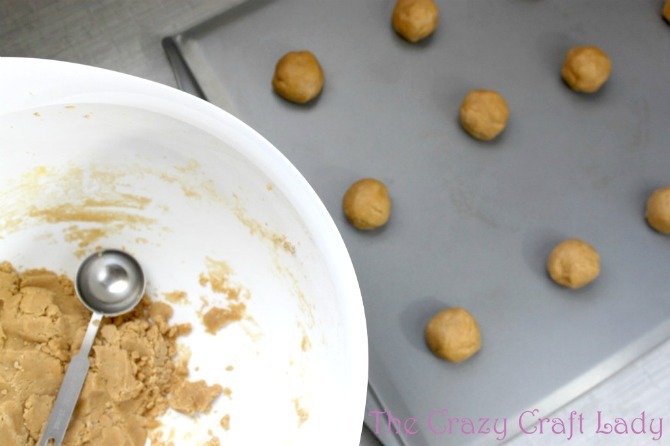 Roll out tablespoonfuls of dough. 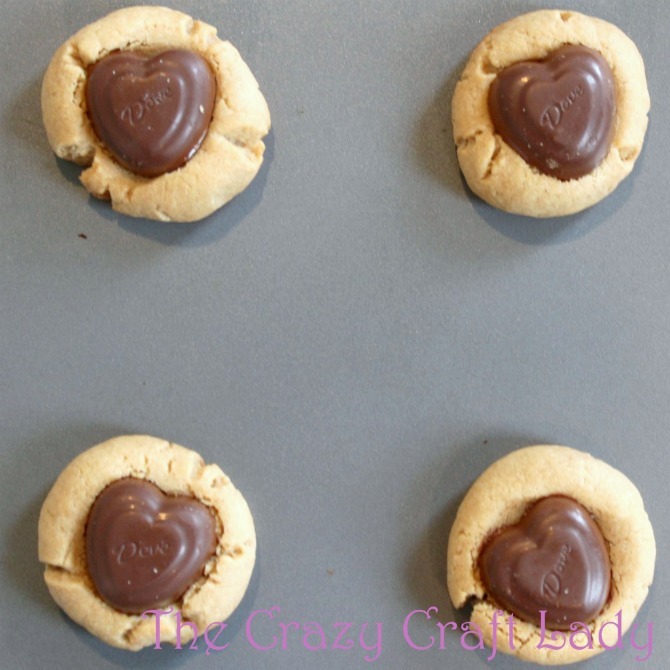 When the cookies are fresh out of the oven, press a chocolate heart into the center. Allow the cookies to cool and the chocolate to harden before storing.